Channel 4’s Dispatches likes Mayor Lutfur Rahman. I’m not sure it’s mutual though. 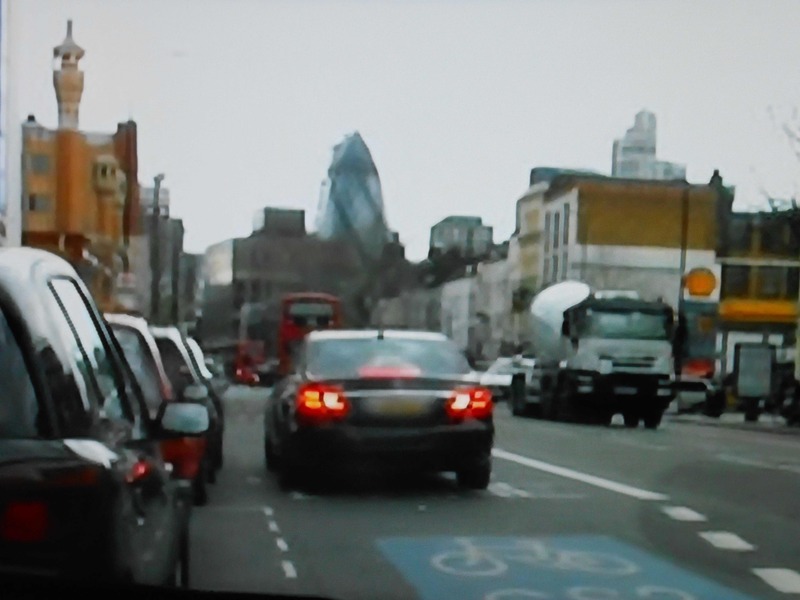 As part of an investigation that aired tonight into wasteful council spending across England, a C4 team (aided by the OpenWorld news agency in Hanbury Street) did a spot of secret filming on our mayor to see how he uses his £35,000 a year chauffeured black Mercedes. It broadcast three clips, two of which showed the car collecting him from his home in Old Montague Street in Spitalfields. After one collection, he is taken to a mosque a mile-and-a-half away (not the East London Mosque) for a function. On the way back, possibly hungry, the Merc is shown parked up for a short while in a bus lane on busy Whitechapel Road. We’re then told by C4 that Lutfur spends 90 minutes presumably having lunch at Zaza’s Grill. 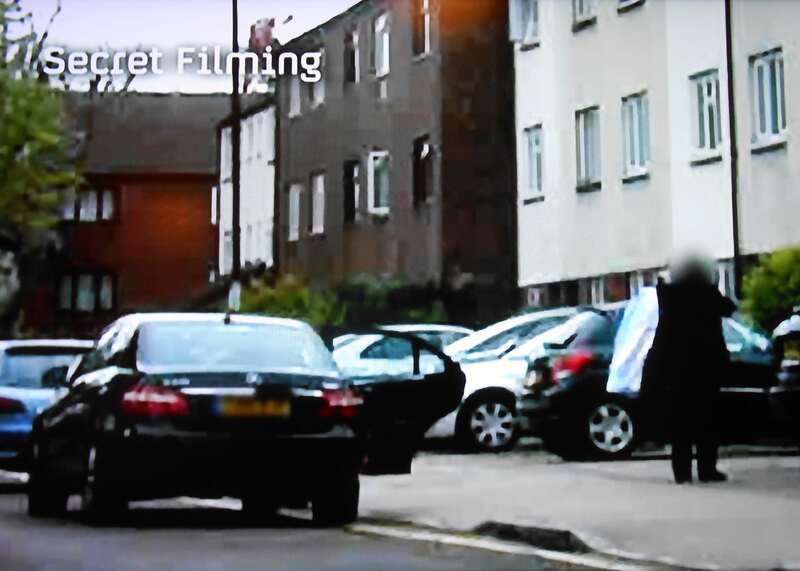 In the last clip, we see Lutfur’s driver (a longstanding and very friendly council employee), outside Lutfur’s home and grabbing a bundle of dry cleaning – shirts and suits – from the back of the car for Lutfur. The mayor was then taken to a memorial function, we’re told. The presenter, Antony Barnett, then says on one occasion they saw the mayor being picked up from his home by his Mercedes and driven to the East London Mosque just around the corner. Barnett then times how long it would have taken to walk there: 2mins 39secs. By way of explanation and justification, the ever-comical council press office said the car was value for money because it’s a “fixed rate fee” of £70 a day which means there is no cost from “waiting times”. The press office then said the C4 film was “not representative” because they had picked only three out of the 60-70 public engagements the mayor attends each week. Barnett said in the broadcast: “They (tower Hamlets) told us that Mr Rahman is a practising Muslim and attends mosques to promote social cohesion. On one occasion, he was attending a funeral. The arrogance of the man is still astonishing. Which of you clowns is going to tell the public this amazing hanky panky is a simple everyday manifestation of local Democracy ???? Its no good burying one’s head in the sand whilst pretending everything is wonderfully all right and completely satisfactory. Surely its time for Eric Pickles to give the public a democratic Right to nullify the appointments of elected officials when many examples of their official conduct become matters of grave public concern ? When Pickles, if he can do more than lift his elbow for a pint, gives the public the Right to unelect elected officials, he should give the public a similar Right to chuck-out unsatisfactory unelected public officials too. Why should riff-raf, deemed unsatisfactory for the private sector, accumulate in local government whilst you silly fools pay circa 18.4% or more in free pension contributions ? How can anyone hold-up their heads and tell people in other European countries our English system of local democracy is marvellous ???? Its time for a national newspaper crusade to put the power back in the people’s hands. CC – great comment. I wholeheartedly second it. Its worrying that any elected official allegedly representing the PUBLIC’s best interests should behave in an arrogant fashion suggesting contempt for the rich and the poor who pay his wages, his expenses and the costs, I verily believe, of his political promotion designed to increase his re-election prospects ? Its no longer a joke. The matter is so serious that Central Government needs to intervene to protect the LBTH residents’ interest. How can a typically third world abuse of public resources be happening right in the heart of inner London with total impunity ? It ain;t 1294 AD but 2013 ! Ted, how about the newspaper campaign ? While I share your sentiment that the arrogance of The Despicable Rahman is astonishing, I think it would be helpful if you spelled out the points you are trying to make in a bit more detail Ted. It certainly seems that Lutfur is using the mayoral car as a personal taxi, for any sort of business he chooses (including running his polyester shirts around) but is this forbidden by the rules? What IS forbidden by the rules is the dropping off in the bus lane. I have no doubt that the Lutfur Merc is allowed special dispensation and the employees who monitor such infractions of the law are told not to report him, probably on pain of dismissal. The sooner this despicable excuse for a politician is marched out of his office the better. Does the hypocrisy of his environmental aims to reduce congestion and carbon emissions really need spelling out? Yes – because I utterly failed to spot it! Obvious when you point it out. Sorry for being slow. Is it relevant that the animal in Animal Farm whose behaviour was most similar to that of Rahman and co is the Pigs? Can someone clarify the maths for me? Seriously, how does £70 per day equate to £35.000 per annum? (70×365=£25,550). Also, is the driver thrown in as part of the lease deal. I don’t see how this adds up? John, you seem to be putting an alarming amount of faith in figures from The Despicable Rahman’s administration. A car like that with a full-time driver, fuel and taxes will cost a damned sight more than £25k, £35k or probably even £45k; any number quoted is likely to be DISTINCTLY dubious. The bigger story on the Dispatches show was the Brent Lib Dem councillor who claims £8k but lives in Brighton and doesn’t do the job of being a councillor anymore. He’s a vicar as well. In other words, Dan, you can think of nothing to say in defence of Lutfur. Reblogged this on Sundial Centre Shipton Street. on June 18, 2013 at 1:08 pm You couldn't make it up! Ted – you might want to refer this matter to HM Revenue & Customs. The use of a “company car” for personal use is a taxable benefit on which tax is due. Also home to work journeys are not permitted as a work expense for the purposes of an expense claim. Everybody is assumed to have to bear this as a cost. Expenses may only be claimed for ADDITIONAL journeys 100% related to work. If you go through the tax rules on the use of transport the programme seems to suggest there’s a case to answer – in which case there’ll be a tax bill which will need calculating for the tax that Mayor Rahman needs to pay. Now – who else has been using expense claims to claim home to work journeys – and needs to pay some extra tax too? By the way, tax claims by the taxman can go back years if it’s shown that there have been inappropriate expense claims and/or failure by an organisation to tax a taxable benefit. That would mean digging out all the archives for all the past expense claims to investigate how many were expenses claimed “in error”. Should the Council have failed to tax taxable benefits or scrutinise expense claims sufficiently, they can also be fined and have the tax agreement rescinded. Such fines have been levied on London Boroughs in the past – and of course these days our Revenue friends are very keen on generating income from tax to meet their targets! Lutfur is “not ideal”. I’ll quote you on that. Get him out, what a disgrace. I’m just wondering whether Lutfur’s house on Old Montague Street, E1 is social housing. It sure looks like social housing and, anyway, how does a young solicitor with political friends get himself to the top of the housing list so quickly? GM, I’d be VERY sure it’s social housing, and have often wondered the same. As Zeal (above) said, the man is a disgrace. It’s not social housing. It was bought by his family under right to buy in 1998. If he bought it in 1998 he must have originally qualified for social housing before he bought it… what was Lutfur doing before 1998? Was he homeless? he doesn’t own it. It’s owned by other members of his family. There’s nothing fishy about it one bit.